The decisions that you face when buying a dryer may not be as complex as for a washer, but the choices available can still be intimidating. The material that constitutes the drum is just one of the decisions you will be faced with. When it comes to which one is better, it all depends on your needs...and your budget. Dryers range in price from $300 to more than $1,000. The upper echelon of the dryer drum world, stainless steel appears to have it all. Its surface is resistant to both rust and stains. It is not coated, so there is nothing to chip. It is impervious to wear no matter what sort of laundry you do, so the surface remains smooth and gentle on your clothes. The only drawback to a stainless steel drum is price. It is not found in the basic, economical dryer models. These may either be made of porcelain-coated or powder-coated steel. They are more cost-effective than the stainless models and dry just as efficiently, but they can be less durable. The coating is subject to chipping under heavy use. However, as with stainless steel, they are easily wiped clean and require little in the way of other maintenance. If you are laundering for a large family or tend to do excessive amounts of heavy washing, be aware that plastic drums can become rough and worn on the inside. This wear is in turn very hard on your clothing, and can cause delicate fabrics to wear out prematurely, or even to snag and cause pulls and runs. The size of the drum you choose, regardless of its construction, is an important consideration when purchasing a dryer. Look at the cubic feet listed under its capacity rather than how many pairs of jeans or pounds of clothes it is capable of holding. Dryers are typically available in sizes from 3.4 cubic feet to 7 cubic feet. 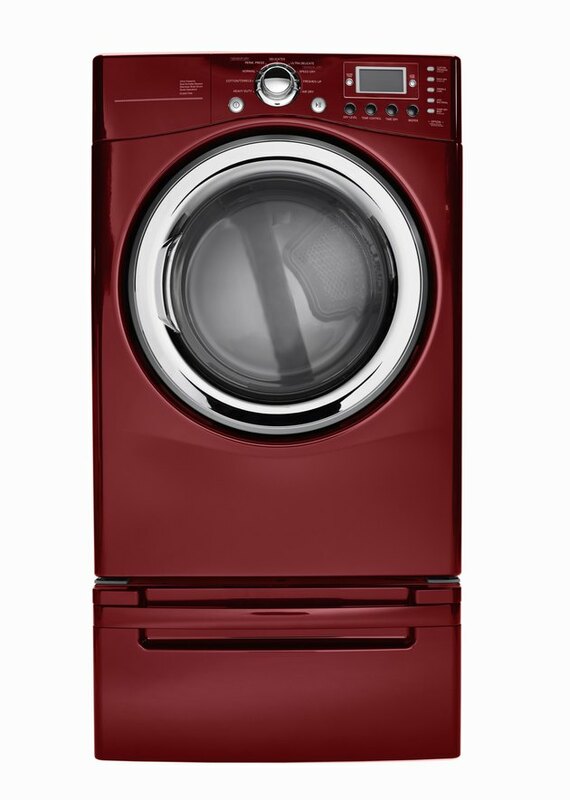 Choose a dryer with slightly greater capacity than your washer so clothes have plenty of room to tumble.